Various generations of the Medici family had accumulated and gathered with passion in their private collections, in addition to great treasures, also a considerable patrimony of natural treasures, such as fossils, animals, minerals and exotic plants. 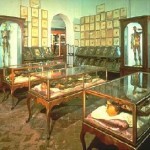 On the basis of such materials as well as the acquisitions of new finds of every type, including a vast collection of books from all over Europe, the enlightened Peter Leopold of Lorraine, with the aid of the abbot Felice Fontana (1730-1805), created a Museum of Physics and Natural History for the public. To such ends, he bought a block of buildings near the Pitti Palace in 1771, in which “La Specola” still has its home today, despite notable modifications and adaptations. The Museum was officially inaugurated in 1775 and it was directed by Fontana until his death. Up to the early 19th century, it remained the only scientific Museum in the world created for the public and addressed towards all sorts of inquisitive people, with opening hours, guides and caretakers, as a museum is still conceived today. 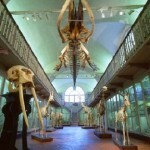 The vicissitudes of the collections are extremely complicated, especially because of the transfers of the anthropological, mineralogical, botanical and paleontological finds as well as the physics, chemistry and astronomy equipment to other university museums and institutes that occurred between 1860 and 1930. Currently the public is admitted into 34 rooms, 24 of zoology and 10 of wax modeling. 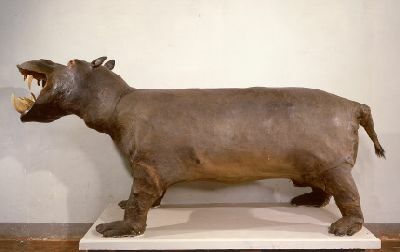 In the zoological sections, there are both recently acquired as well as ancient taxidermy specimens, like the hippopotamus which, as it seems, was given to the Grand Duke in the second half of the 1700’s, and lived for some years in the Boboli Gardens. 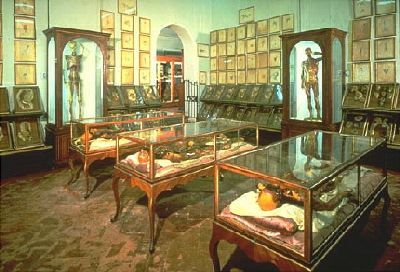 The museum can especially boast its collection of anatomical waxworks, a precious testimony to an art which in Florence was first begun by Ludovico Cigoli (1559-1613), an important Florentine artist of that period, and had its moment of maximum splendor and scientific-technical accuracy in the 1700’s. Inside the wax modeling exhibition, we must point out the unique collection of the peculiar waxworks of Gaetano Zumbo (1656-1701), artistically and anatomically of great value. Inside the Museum building, there are two other special rooms. 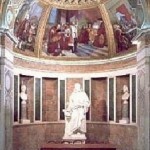 One is the so-called “Galileo Tribune”, planned and built by the architect Giuseppe Martelli in 1841 to honor the memory of the great Tuscan scientist and to hold many of his instruments together with those from the Accademia del Cimento (which tody are kept at the Museum of the History of Science). The room is adorned with frescoes and sculpted inlaid marble which illustrate a number of Italian scientific discoveries from the Renaissance to Volta. 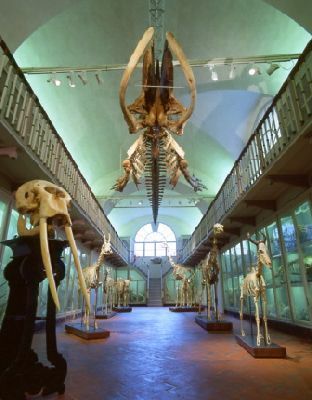 The Hall of the Skeletons, inaugurated in March 2001 after 5 years of restoration, displays the majority of the osteological, and especially mammalian, finds owned by the Museum. This enormously important scientific collection continues to increase even today and it is consulted regularly by both Italian and foreign zoologists and paleontologists. There are more than 3,000 finds in the hall, from skulls to complete skeletons, some even of very ancient provenance: the elephant’s skeleton was almost surely already present in the second half of the 1700’s. There are skeletons and skulls of very rare, even extinct animals, such as the Sonda Rhinoceros, a thylacine (or Tasmanian wolf), an echidna, a platypus and various giant ant-eaters. In addition, also primates and man are represented. 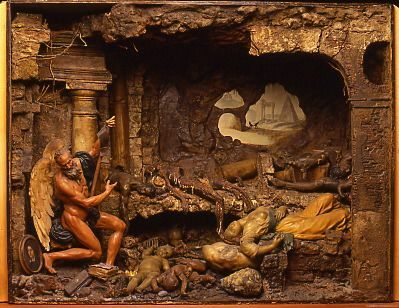 Together with “The Plague” and “The Corruption of Bodies”, this work is one of the “Plague Waxes”, three 17th-century compositions by the famous Sicilian wax modeler Gaetano Giulio Zumbo, who worked in Florence for Grand Duke Cosimo III de’ Medici between 1691 and 1694. They illustrate the devastating effects of the plague with a taste for the macabre and the scary, typical of some 17th-century artists. Most of the museum’s bone finds, especially of mammals, are kept in this room. It is a constantly growing collection that is frequently consulted by both Italian and foreign zoologists and paleontologists. 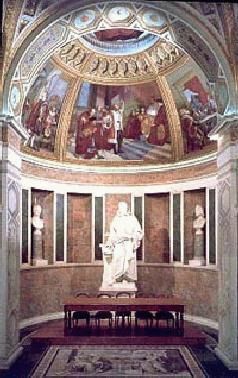 Inaugurated in 1841 by the last Grand Duke of Tuscany, Leopoldo II of Lorraine, on the occasion of the III Congress of Italian Scientists, this beautiful room is called the Tribune of Galileo because of the imposing statue of the scientist displayed here. The hippopotamus inhabits the rivers of much of Africa south of the Sahara. 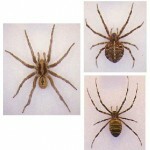 It can reach up to 4 m in length and weigh over 4 tons. The specimen shown here appears rather interesting from a historical point of view, as it was inadequately naturalized. 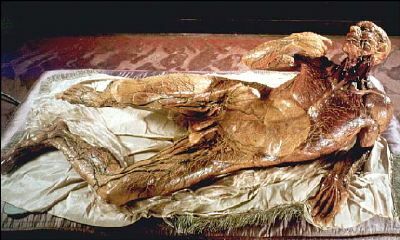 It is definitely the most famous and fascinating piece in the collection of wax anatomical models. Admirably modeled by Clemente Susini, this statue is meant to illustrate especially the superficial lymphatic and circulatory systems. The wax models are grouped in various rooms by subject: bones, muscles, heart and circulatory system, brain and sense organs, nerves, and anatomy of internal organs. The Specola Museum acquired in 1999 an interesting collection of Italian and African arachnids, prepared by Mr. Roberto Czeppel. 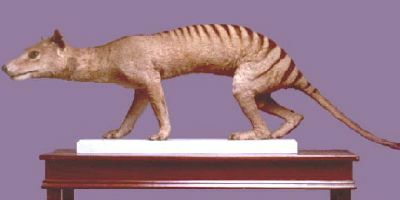 A part of these specimens is on display in the recently refurbished Room V.
Also known as a Tasmanian or marsupial wolf, it lived in the densest forests of south-western Tasmania and, in prehistoric times, also in New Guinea and eastern Australia. By car: once in Florence, follow the signs for Porta Romana or Palazzo Pitti. Closed on the main civil and religious holidays.